As bad as the name sounds a cornstarch slurry is one of the most effective ways to thicken a sauce or pie filling. Made from simply cornstarch and water it has several advantages over other thickening agents, namely speed and little or no flavor. Unlike a roux made with flour a cornstarch slurry does not require you to cook out any taste that the ordinary flour may impart on the dish. Nor does it require you to carefully cook off the roux so that it does not become lumpy(something which can ruin a dish if left unnoticed). Additionally a roux is usually added at the start of a recipe whereas a cornstarch slurry is generally added at the end once the sauce has been reduced to at least a simmer if not lower. It tends to create a sheen on the surface of sauces that it is added to and as such is usually added to sweeter sauces or cake fillings(most notably in meringue). If you cannot find any there are several cornstarch substitutes available that are also extracted from plants. A cornstarch slurry is made by added the cornstarch to cold water first in a separate mixing bowl or a small glass. You can allow roughly one tablespoon of cornstarch and one tablespoon of water for each cup of sauce that you intend to make. Thickening with cornstarch gives you the ability to finely tune just how thick your sauce will become. Just be aware that you should not boil a sauce that has a cornstarch slurry added to it. 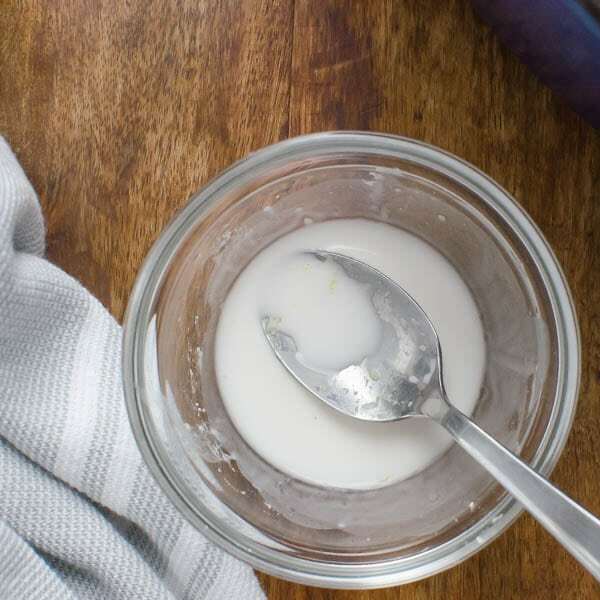 To do so will result in the sauce deflating and losing the thickening benefits from the cornstarch, over-stirring can also result in the same effect. Cornstarch is made by extracting the starchy carbohydrate from the endosperm of the corn. This starchy carbohydrate contains virtually no protein and once heated will thicken most sauces. The thickening is caused by the starch once heated to bind to the water molecules. As the starch absorbs the water it will start to swell, effectively reducing the number of free water molecules in the liquid suspension(sauce). At roughly 203 degrees F the starch will expand to it’s maximum size or roughly 10 times what it was in powder form. Does Cornstarch have Gluten in it ? No pure cornstarch does not contain any gluten as it is processed from corn and not wheat. However, you cannot always be certain that the cornstarch you purchase at your local store is 100% gluten free as it depends on the manufacturers production processes. Cross contamination is very likely in large production facilities especially if all of the grain products that are being produced share the same processing and packaging machines that the cornstarch also uses. Does cornstarch contain much carbohydrate? Well yes it is almost 100% carb(starch). Per single serving of cornstarch 1 tbsp(30g) contains roughly 7g of carbohydrate and zero grams of protein. Does Cornstarch go Bad ? Whether or not cornstarch goes bad like most food stuffs depends greatly on how it is stored. It stored correctly in an airtight container in a cool place it should easily keep well past its best before date. Just ensure that when you do have the container open ensure that no moisture is allowed to creep inside, steam in this instance can be a nuisance. In the United Kingdom and several other European countries yes the two terms are used interchangeably which can lead to confusion, you can read more about it in our article cornmeal vs cornstarch vs corn flour. In the US however no they are two very different things cornflour is finely milled cornmeal and cornstarch as discussed above is the starch extracted from corn using a specialist process.